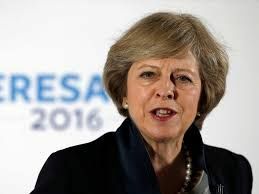 Theresa May, the UK PM, has promised to initiate Brexit negotiations by the end of March. She’s not the usual sort of politician, in that she doesn’t say much, but when she does say something, she means it. 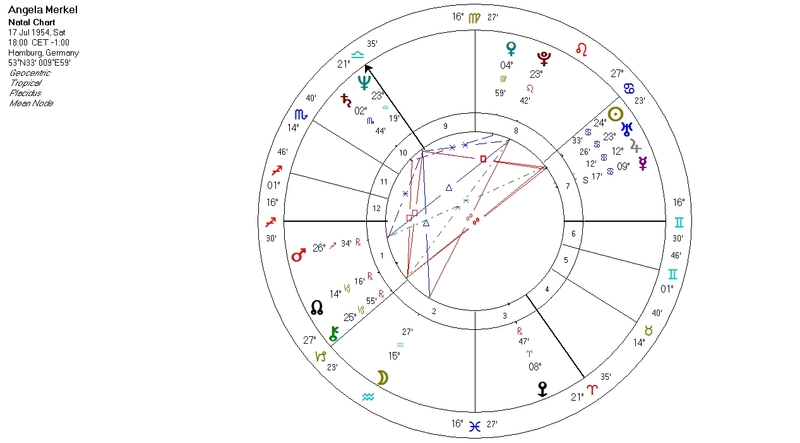 We don’t have a birth time for her, but she has Saturn conjunct North Node, as well as square Moon and Venus, and sextile Mercury. She has a Saturnian personality: she is notoriously withheld, but wants to do a proper, detailed job. 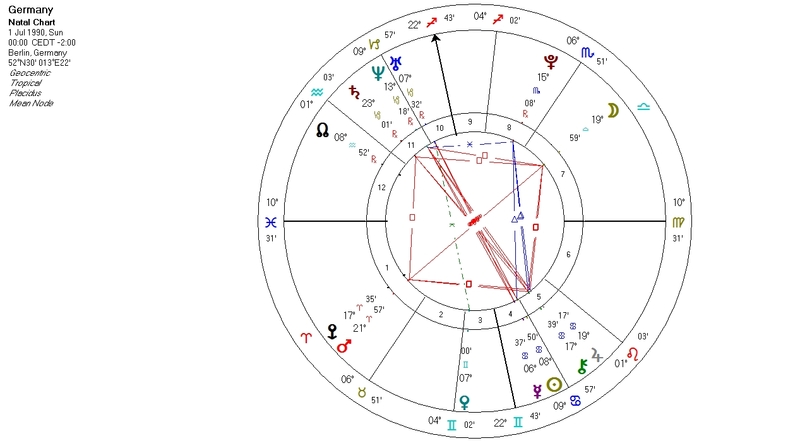 She has earned her position through being Home Secretary for 6 years, and popularity for her is secondary (Saturn square to Venus). So she has the right temperament for the job at hand, Brexit. But subsequent to triggering article 50, we are likely to see a phoney Brexit for most of this year. 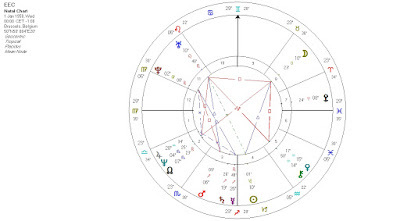 For the UK, Brexit begins in earnest once Saturn goes direct in the autumn, leaving Sagittarius for good and entering Capricorn, where it will begin to hard aspect the UK Sun, Moon and Angles, all of which are in Cardinal signs. This, of course, fits nicely with the waiting game we are likely to see until the French and German elections have been held, in the spring and autumn respectively. Until then, we will not really know who we are negotiating with, though there will continue to be posturing from both sides. 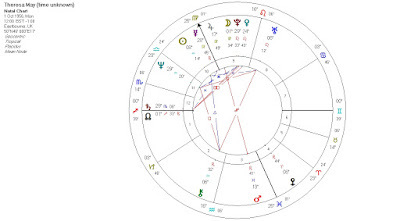 Europe is likely to see further shocks this year, as we experience the outcome of the Uranus-Pluto square, energised by the conjunction of Uranus to Eris. 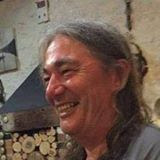 The dark underbelly of globalisation (those left without jobs and prospects as industry moves to cheaper countries, and as jobs become automated, and the problems caused by lack of sensible border controls) that Pluto has revealed, and that brought about Trump and Brexit, has yet to bring major political change to mainland Europe. This is because unlike the US and the UK, Europe has not had elections or referendums. Except Italy, which had a referendum on the constitution in December, that became a referendum on the EU and the Euro: the anti-vote won. That seems like a clear sign of the way things are going. The Euro currency has an exact opposition between Mars and Eris (18.21 Libra/Aries), Mars ruling the 8th House of shared wealth. So Mars is a key player. Saturn at 26 Aries, at the start of the 8th, is also a major player. 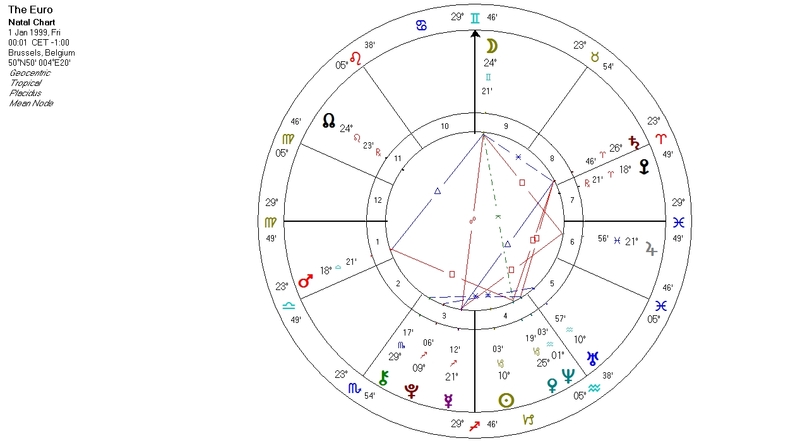 As Uranus completes his crossing of transiting Eris and moves on to natal Saturn this year, and as Pluto finishes with natal Mars/Eris, we are almost certain to see crises within the Eurozone, the 2 obvious contenders being Greece and Italy, both of whom have debt problems. It could easily result in one of them leaving the Eurozone. The big events, however, are the French and German elections. 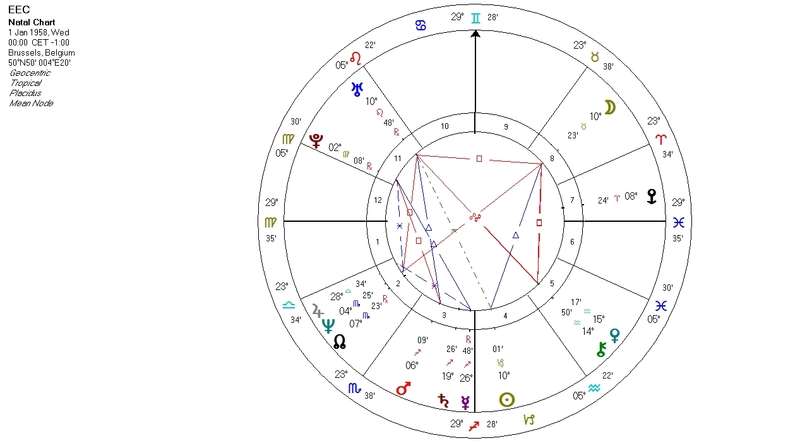 Both countries (using their modern charts) are in the thick of Pluto or Neptune transits to major points: France has Pluto hard-aspecting her Asc, Node and Moon; Germany has Pluto hard-aspecting her Moon, Mars, Saturn, as well as Neptune conjoining the Asc. So how can there not be major political change in these 2 countries, that reflects the anti-globalisation mood, and the EU’s part in bringing it about? The major symbol of these events, this new political mood, will be the fall of Angela Merkel in the autumn. 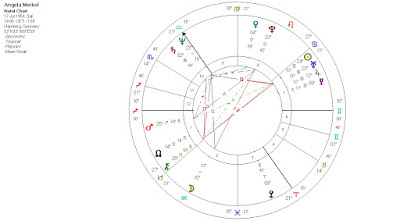 She will be seen as a great leader, and as such her trajectory is in the stars: she was elected in 2005 as Pluto crossed the German Midheaven at 23 Sag, and continued as Pluto opposed the German Sun at 9 Cancer, and this year as Pluto finishes his business by squaring the German Moon. And so too will Merkel be finished as leader. 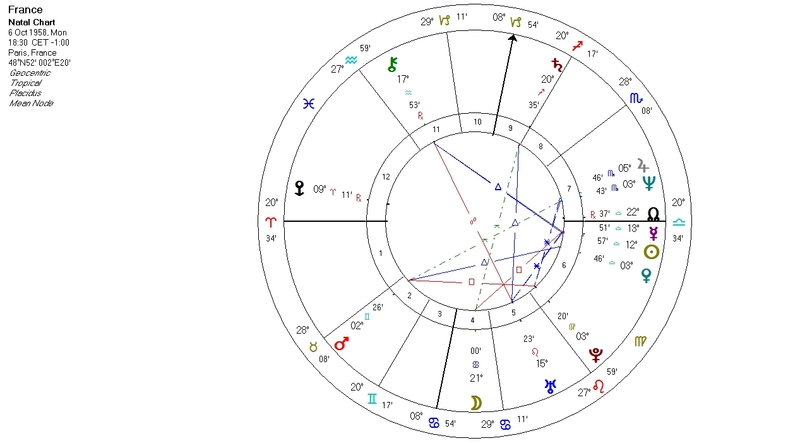 Mother Merkel (whose birthtime is approximate) has Sun at 24 Cancer, conjunct Uranus at 23 Cancer, showing the divided homeland she was born into, and which she experienced first-hand as a child when her family moved from West to East Germany. 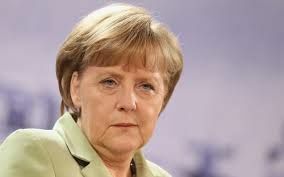 It is interesting with her Uranus that her job should be as a unifier, not just of Germany but of the EU. 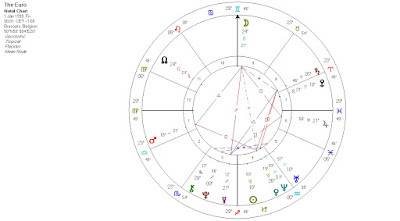 Her Sun-Uranus squares her Neptune-MC at 23-22 Libra. 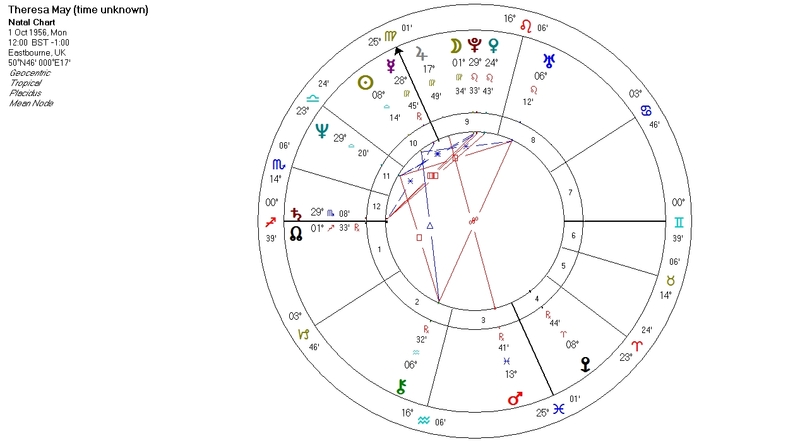 So this square, which is basic to her chart, has been under hard aspect from Uranus for a year or two (reflected in her waning popularity, much of it brought about by the immigrant surge which she, the caring Cancerian, oversaw.) 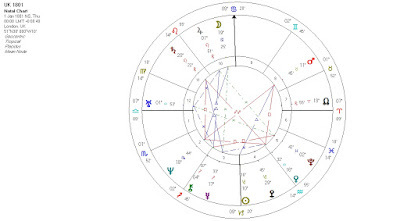 Pluto will be approaching, rather than exactly aspecting her Sun-Moon, but that will be enough. She may, however, remain in politics for a few years after she loses the election, until the exact aspects have occurred. The EU came into existence as the EEC in 1958. 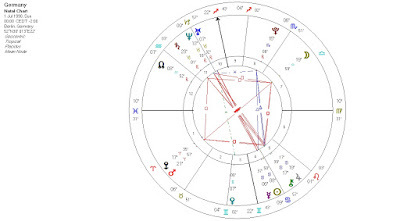 All the Angles were at 29 degrees of the mutable signs, which is the worst place to have them if you want something to last. The Euro currency has the same problem. Neptune won’t be exactly aspecting these points for another 7 years, but that is soon enough. In the case of the Euro, Neptune will exactly square the Moon (the member states) in 5 years. So my prognosis is a dissolution of the EU in its current form, beginning with the start of the dissolution of the Euro over the next 2 or 3 years. And Brexit of 2016, followed by the French and German elections of 2017, will be seen as the key events which began this process. The rise of nationalist sentiment across the EU may mean that what the UK wants and what Europe wants are much more closely allied – ie more border controls, and devolution of power from Brussels - and that will radically change the negotiating picture. 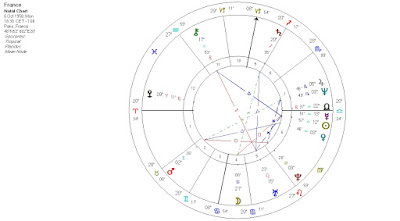 This easier climate for negotiation is reflected in Saturn’s passage across the major points of the UK chart, which will be complete in autumn 2020, and all over bar the shouting a year before that, after 2 years of serious negotiations. I've got a different spin on Merkel. The final depositor of her moon is her mercury in cancer. 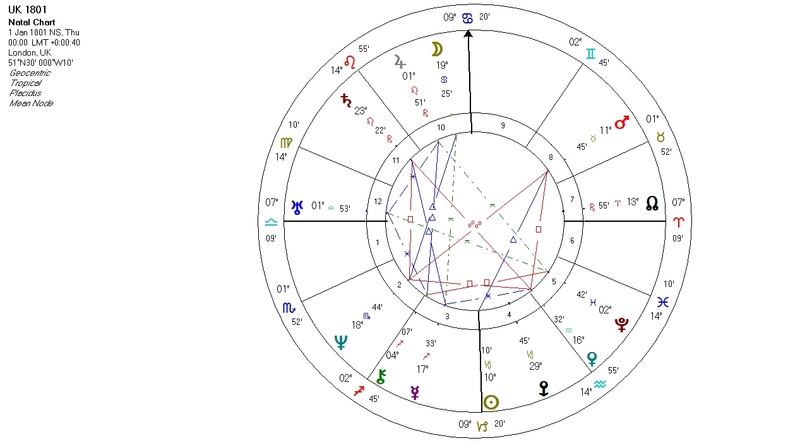 I think she is seen as the mother of Europe and that progressed moon/Uranus conjunction which is applying to the fourth house suggests – especially with Mercury retrograde going over her mars retrograde in the first house – that she's going to make a decision which will have a huge impact on the rest of Europe. Maybe they will change to the deutsche mark again or suddenly decide that their immigrant policy isn't working for them. But I don't think they are going to let her go just yet. She's got some big decisions to make and she will protect her country to the death. Any predictions for the 2020 US Presidential Election? Some psychics and astrologers are predicting that Donald Trump will not complete his first term. What do you think?